A dental Veneer is a pellicle made of ceramic or ultra thin composite materials placed on the front of a tooth. It aims at correcting an aesthetic imperfection. Moreover, veneers can also serve to clear up the whole smile or serve as an alternative for an orthodontic treatment. At first, during the first session and under local anesthesia, the dentist performs micro-abrasions of 0,2 to 0,5 mm on the tooth preparing it to receive the veneer. Then, a dental impression is performed to help make the future veneer that will be adapted to the patient’s smile. Temporary veneers are then pasted on the tooth. 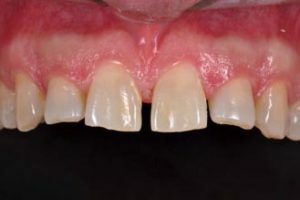 Ceramic veneers cannot be distinguished from natural teeth. they are optimal and durable thanks to the use of extremely resistant adhesives and ceramic that allows it to retain its colour with time. The teeth is kept alive. 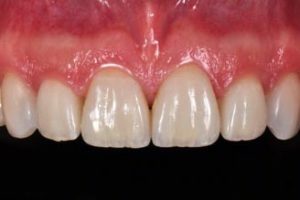 Veneers offer a permanent solution for colour anomalies, form and the position of the tooths and the ugly dental composites. This method avoids heavier and more mutilating treatments, such as the installation of dental bridges or crowns.